Do you have more stuff than space? Whether you’re struggling to fit your car in the garage or your spare room has become a dumping ground for stuff, decluttering your home can help improve your organisation and clear your mind. Ditch the things you don’t need and reclaim the space in your home with these declutter tips. You know that juicer you don’t use? That uncomfortable pair of shoes you’ve worn once? Or that stack of old magazines you’ll never read again? They need to go. If you haven’t used or worn something in over 6 months, it’s time to toss it or donate it. Unless it’s a family heirloom or has sentimental value, there’s no reason to hold onto things you don’t need. Free up some space in your cupboards, drawers, and wardrobes by only keeping the stuff you use regularly. Sort your belongings into three piles: keep, throw, and donate. Always have a garbage bag or bin handy to speed up the process. Decluttering your home can be a big job. Make it less overwhelming by breaking it down into several smaller tasks and focusing on one room at a time. This will ensure you do a thorough job of each space and don’t miss anything that needs evicting (we’re looking at you, 12 almost-empty shampoo bottles). Create categories to break each room down into even smaller subtasks, e.g. books, linen, paperwork, etc. If you’ve got stuff crowding your space, chances are you’re lacking storage. Think outside the box and add storage solutions wherever you can. For example, under-bed sliding drawers are perfect for keeping things in their place and out of sight. Simply add wheels to old drawers or boxes and you’ve got yourself some handy under-bed storage. Over-the-door shoe hangers keep more than just footwear organised. They can be used for everything from cosmetics to kids’ toys and even garden tools. Can’t find a place for everything in your home? 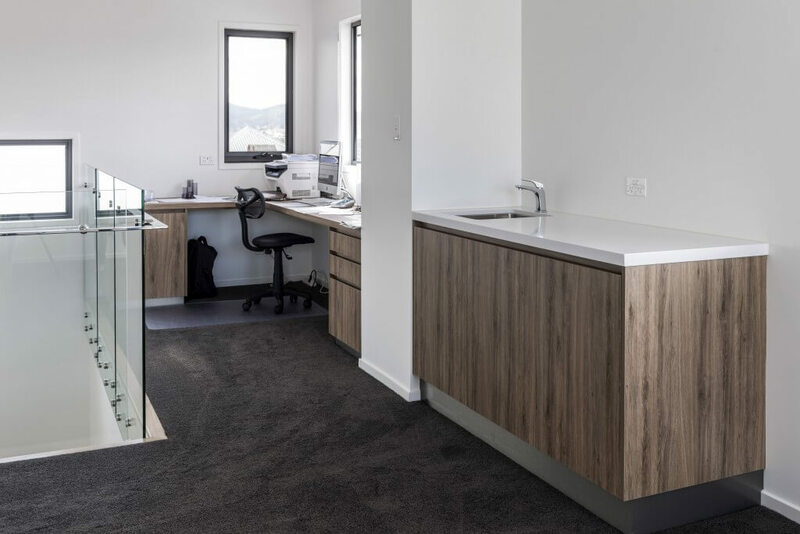 A&T Cabinet Makers design and install space-saver cabinets and cabinets for small places to increase the storage and organisation in your home. Get in touch today.